the only canonically correct jurisdiction. The parish of the Church of the Ascension in Barnaul has left the Moscow Patriarchate-Russian Orthodox Church (ROC). The flock of the church located in the scientific city-center of Barnaul has joined the jurisdiction of the Russian Orthodox Church Abroad. The flock made the decision on August 14 and came under the omofor of the ROCA episcopate abroad on August 26. The former rector of the church, Fr. Georgiy Titov, notified the MP diocese of Barnaul and Altay today. He explained this to reporters at a press conference in the offices of the Internet news outlet PolitSibRu. The Church of the Ascension in Barnaul was built in 2002 completely by the donations of donors and parishioners. Fr. Georgiy was appointed rector in 1997, while the church was under construction. He served the flock until recently, when disagreements between him and the current diocesan administration became public. Before October, 2010, all ROC parishes of the Moscow Patriarchate will be required, as legal entities, to accept a standard set of bylaws. Having reviewed the document’s contents, Fr. Georgiy, who was working as a legal consultant to the diocese at that time, determined that they contradict the basic dogma of the ROC, as well as the bylaws of the Russian Orthodox Church itself. 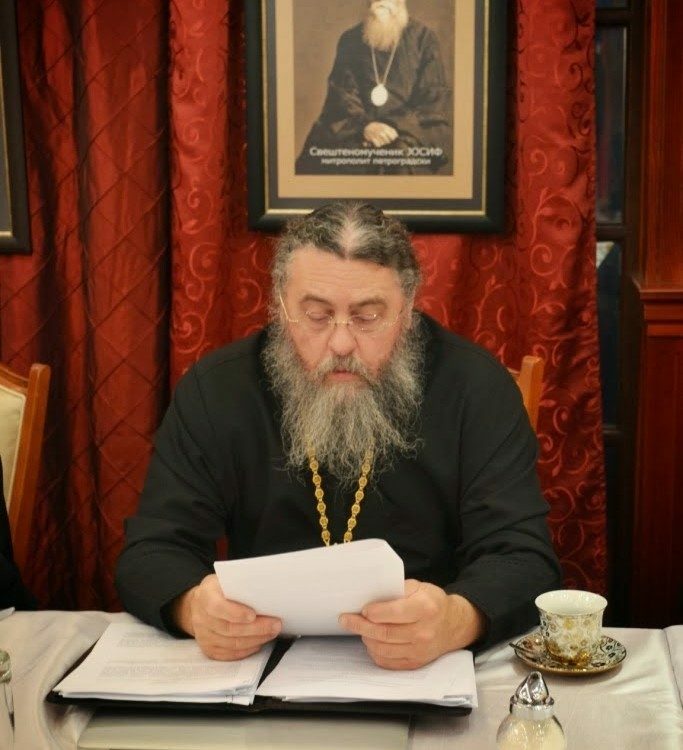 “In contrast to previous bylaws, the diocesan administration becomes the ruling authority, which is contrary to the canons of the Orthodox Church. To draw an analogy to secular life, it is as if a general who commands the army, becomes the commander of a platoon,” he explained. “The new bylaws include a regulation that if one of the members does not attend a parish meeting and gives an unacceptable reason, the archbishop may expel all the members of the meeting and name new members,” Fr. Georgiy added, explaining a regulation that violates the dogma of sobornost. “These bylaws also have a clause which indicates that a parish functions on the basis of ukases and directives of the Patriarch. This is completely analogous to Catholicism. The Patriarch may not interfere directly in the affairs of a parish,” Fr. Georgiy pointed out. Having developed a difference of opinion, the parish under the guidance of Fr. Georgiy decided not to ratify the new standard set of bylaws. “We did not want to join the Catholics,” said one of the parishioners, church warden Tatyana Khalina. Talks between the diocese and the unyielding priest were not successful. 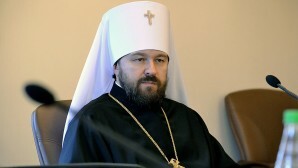 The diocesan administration then removed Georgiy Titov from his job as legal consultant and found a new rector for the Church of the Ascension. “Why were these bylaws adopted? Among those who come to church, few understand the principles of the Orthodox faith. The lion’s share of income is from those who come to church once or twice in their lives. That is why those who understand the canons do not figure into the calculations of the diocese. The amount of money will not be affected,” Fr. Georgiy says, expressing his opinion on the particulars of the Moscow Patriarchate’s financial reasoning. That is why the parish along with its rector decided to join the Russian Orthodox Church Abroad. It is the only true canonical church, Fr. Georgiy says. “The great majority of parishioners have stayed with me (which is confirmed by the minutes) and are joining the Russian Orthodox Church Abroad with me. Our church belongs to the parish. We have legal proof of ownership. The land also belongs to the parish and we have legal proof of that as well. There will be a big battle, I expect, a war over the church. I have no doubt that all measures will be used to force us from this church,” said Georgiy Titov. The parishioners of the parish who attended the press conference stated that the Barnaul and Altay diocese did not contribute a single penny to the construction of the church.